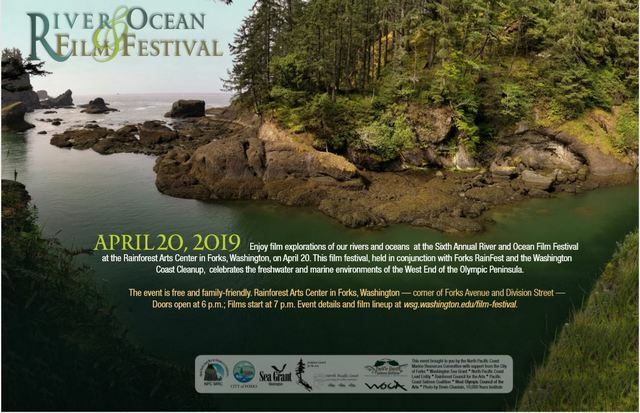 Join us on April 20, 2019 for the 6th Annual River & Ocean Film Festival held at the stunning Rainforest Arts Center in Forks, Washington, at the corner of Forks Avenue and Division Street. Doors open at 6pm, films start at 7pm. The event will conclude by 9pm. The event is free and family-friendly. The festival, held in conjunction with RainFest and the Washington Coast Clean-up and sponsored in part by Washington Sea Grant, offers film explorations of our rivers and oceans that highlight the beauty and opportunity of this region, as well as some of the issues faced by its marine and freshwater habitats and the human community. See films from previous festivals here. The River & Ocean Film Festival is brought to you by the North Pacific Coast Marine Resources Committee, the City of Forks, Washington Sea Grant, North Pacific Coast Lead Entity, Rainforest Council for the Arts, Pacific Coast Salmon Coalition, West Olympic Council for the Arts, and Olympic Coast National Marine Sanctuary. Film submissions for the 2020 film festival are now being accepted. 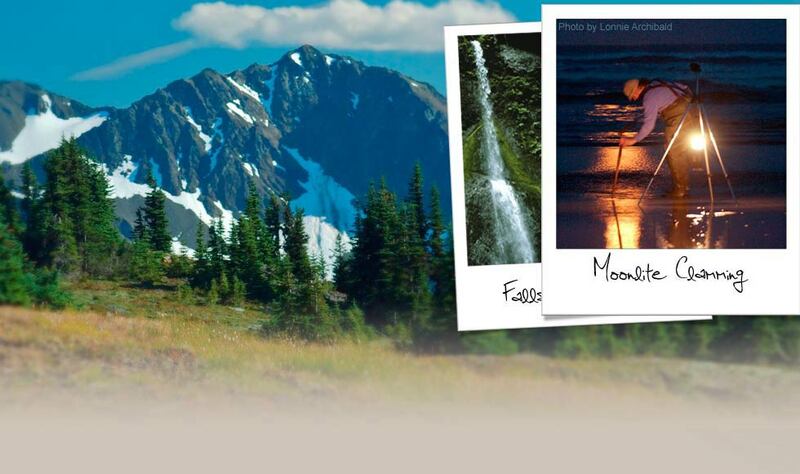 Films must be less than 20 minutes long, and relevant to the natural or social dimensions of the West End of the Olympic Peninsula. To submit a film, please contact Ian Miller at immiller@uw.edu or 360.417.6460.